The Dresser-Rand business, as part of Siemens Power and Gas, recently secured a contract to supply two compressor trains to an onshore receiving facility in Ghana, Africa. 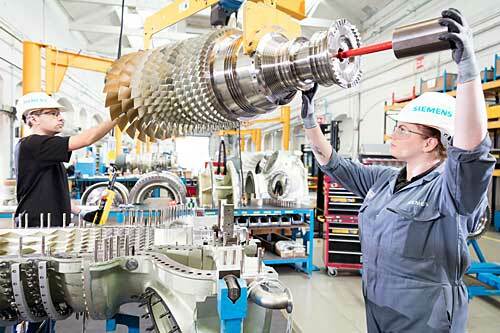 This marks the first time the Dresser-Rand business has sold a DATUM® compressor driven by a Siemens gas turbine. This order is also a significant integration milestone and another synergy achievement of the Dresser-Rand business and Siemens. The client, Eni Ghana Exploration and Production Limited (Eni Ghana), is a subsidiary of the Italian oil company Eni S.p.A., the operator of the Offshore Cape Three Points (OCTP) project in Ghana. The first compressor unit is scheduled for delivery in September 2017, the second in October 2017 and Eni Ghana expects to have the plant fully operational in February 2018. “The DATUM line of centrifugal compressors has more than 20 years of operating experience and the SGT-400 gas turbines more than 15 years. With the combination of reliable technologies from the Dresser-Rand business and Siemens, we were able to offer a strong value proposition and the best solution to our clients. By forming Siemens Oil and Gas Equipment Limited, a joint venture (JV) incorporated in Ghana by Siemens South Africa and a local JV partner, the project is guaranteed to meet local requirements in this country,” says Jesus Pacheco, head of New Equipment Worldwide in the Dresser-Rand business.